How did you go with the tutorial? Have you downloaded it yet ? 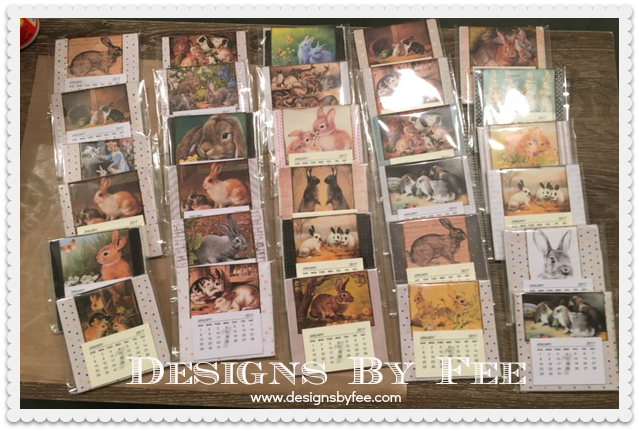 A friend requested 30 rabbit themed calendars for her rabbit breeder friends. I had so much fun making them. I find the process very relaxing although I can't do it all in one sitting and have to keep going back to it as sitting for too long isn't good for my pain levels. I finished them off sitting up in bed with the heat on my spine. My bedroom is beginning to look a little like a hospital room these days. I have an over the bed roller table just like the hospitals but it makes things much easier when I am confined to bed. 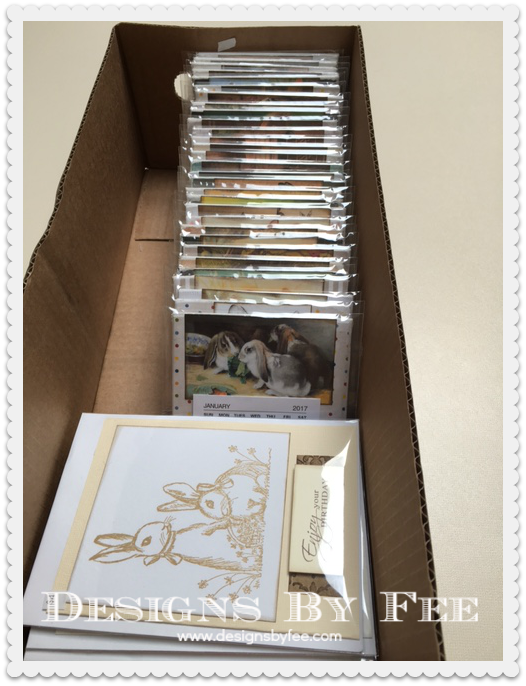 Here they all are packaged up and ready for collection along with some rabbit themed birthday cards I made a little while ago. From next Friday 28th October I will be having a linky party every week for anyone that has made something using any of my tutorials. There will be a little random prize every week for one of the bloggers that joins up their link to their make. It is in perfect condition and the perfect size to throw over me on top of the bed. And what's more it is in beautiful pastel colours which I love. 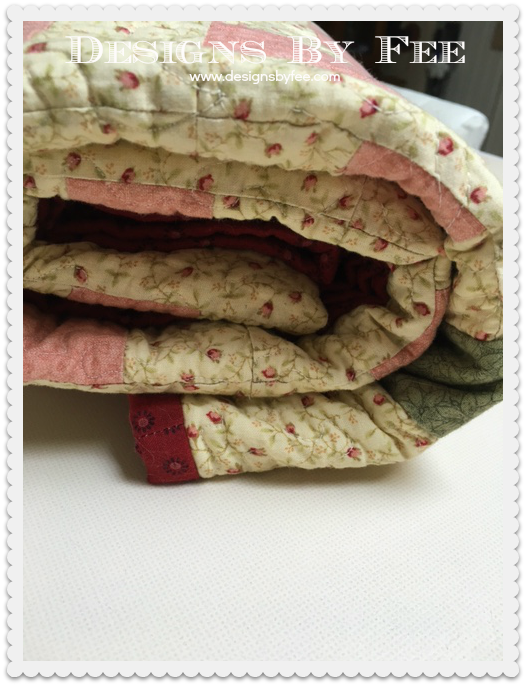 It saddens me to think that a quilter has lovingly made this quilt and sat at her machine for hours putting it together, had it professionally quilted and then most probably gifted it to a loved one, only for it to end up on the racks at a thrift shop. But it is safe now and will stay with me forever and will be my constant daily companion. I was going to make myself one that was big enough to cover my feet but not too wide and this special find fits the bill perfectly. Now I need a little help from you. I also purchased this item for 50c on the same day. 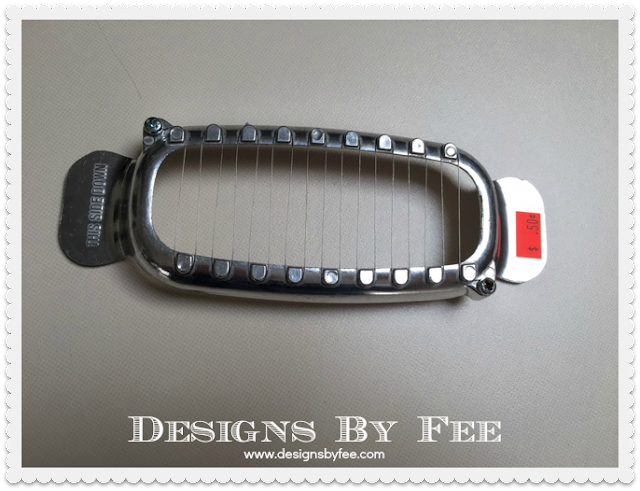 It is metal and measures 19cm from handle to handle. 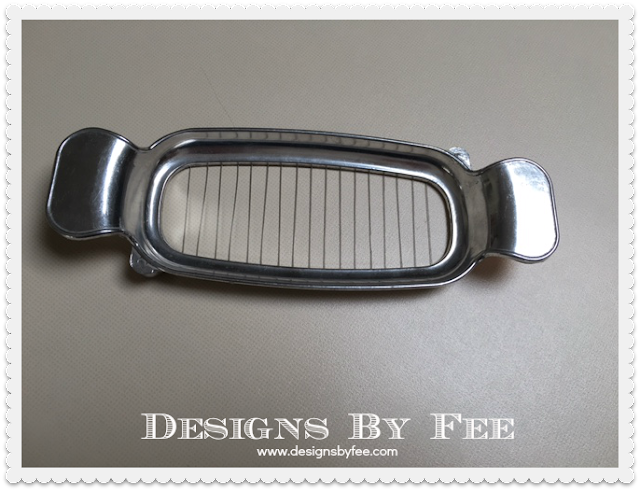 I think it may be a butter slicer ? But I'm not sure. What are your thoughts? What do you think it is ? I'll be working on a new little idea today for a tutorial to be uploaded in a few days. I'll catch you then. 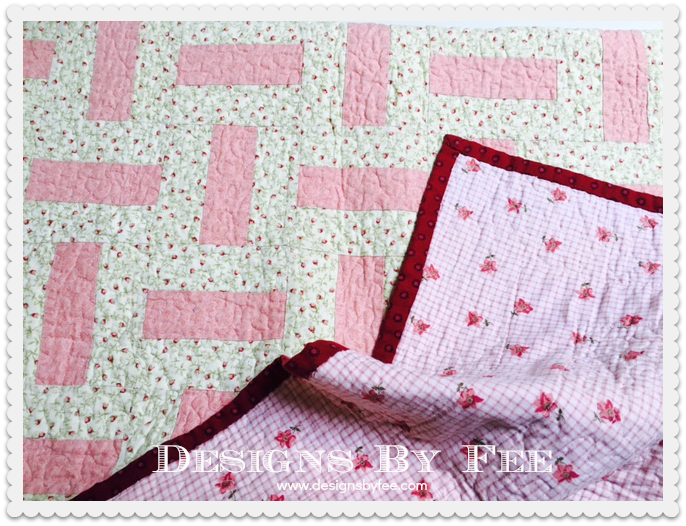 I'm so glad you rescued that quilt. I agree it is very sad it ended up at the op shop. no idea what this useful doo-dad is but you are probably right! Great find with the quilt and yes it is a butter slicer usually sold for about $40.00 plus!. Or an egg slicer or a cheese slicer. Great quilt find. wow great find Fee, and only $6 so jealous. Yes it looks like a butter slicer to me, I wasn't able to download your tutorial, might be my old computer, need a new one I think, but no worries will keep trying. Chris xoxo. What a great find and save, nice to see it has found a lovely home. 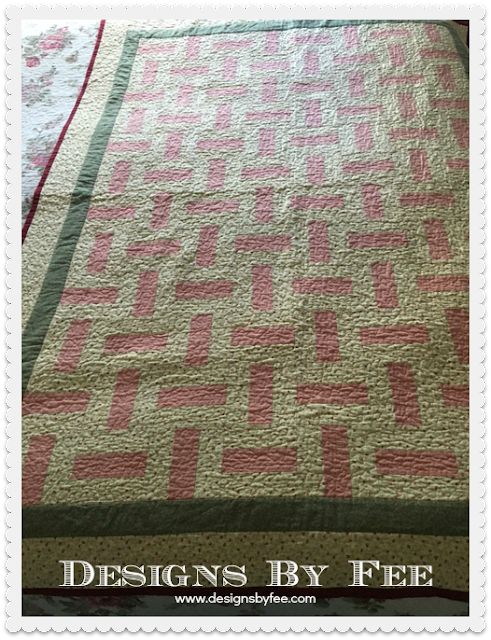 Great find and great price on your rescued quilt. Enjoy! I would think you could slice butter, cheese, tomatoes, mushrooms and eggs with your 50-cent find. Is it an egg slice? Well done on rescuing that beautiful quilt! It will now have a lovely home! I'm glad to have found your blog again, thanks to Jenny R.!